What's this? A plug-in loudspeaker? An external flash? A retina scanner? 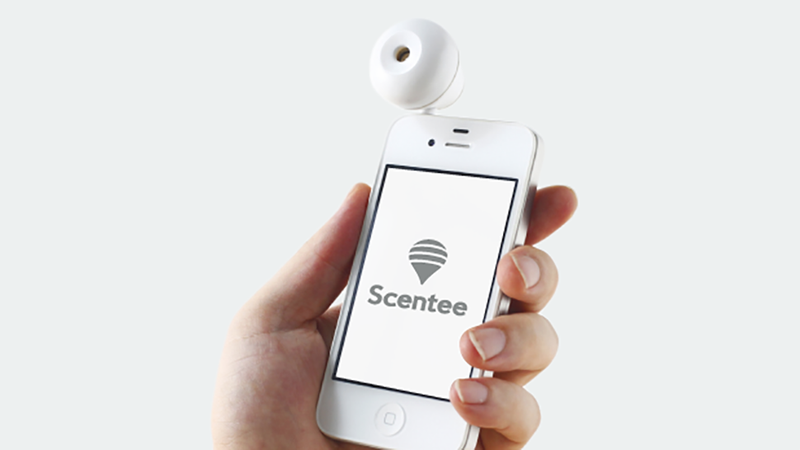 No, it's the utterly bizarre Scentee, an aroma-generating thingamabob that gives your smartphone scent notifications. And, starting today, it's available worldwide. How ever did we live without this? The $35 smell dongle holds a little scent cartridge with enough fragrant liquid for 100 sprays. Right now, five scents are available: rose, lavender, coffee, rosemary, and strawberry. The system is controlled by an Android or iOS app, giving a scented puff on timed intervals, as an alternative to audio notifications, or just whenever you want a whiff.